Average 4.35/5 out of 17 total votes. 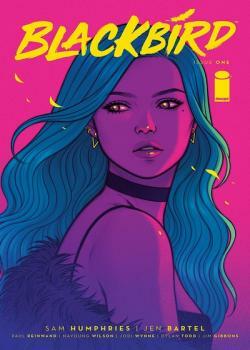 An all-new ongoing series from fan-favorite writer SAM HUMPHRIES (Harley Quinn, Nightwing) and red-hot artist JEN BARTEL! In this neo-noir fantasy, Nina Rodriguez is positive that a secret magic world ruled by ruthless cabals is hiding just beneath the veneer of Los Angeles. The problem: everyone thinks she’s crazy. The bigger problem: she’s not crazy—she’s right. Can she unravel the mystery before the Great Beast catches up with her?